The tar truck was sitting right outside my bedroom window back in 2013. 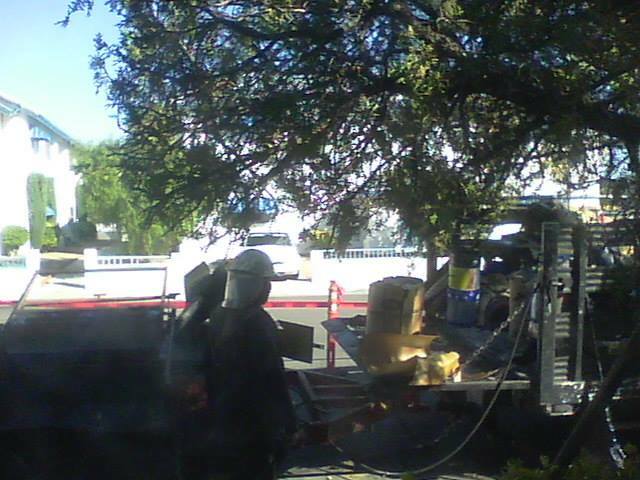 The hose from the tar truck goes right to the left hand side of my bedroom window so they can get the tar up to the roof they were redoing. I woke up at 6am wondering why my bedroom stunk so bad...the stinky aroma of tar was seeping right through my air conditioner. 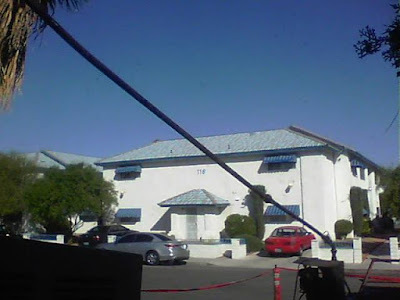 The manager had the maintenance man remove all of the 'dish' type cable satellite dishes from the roof after she sent out a notice that they would all be removed in 30 days and were no longer allowed. 2 years before that both my building and the building across from me had brand new roofs put on and when the Dish and Direct TV people went on the roof after that to install the satellite dishes they made holes up there either by their feet or installing the dishes. So now they are no longer allowed here. 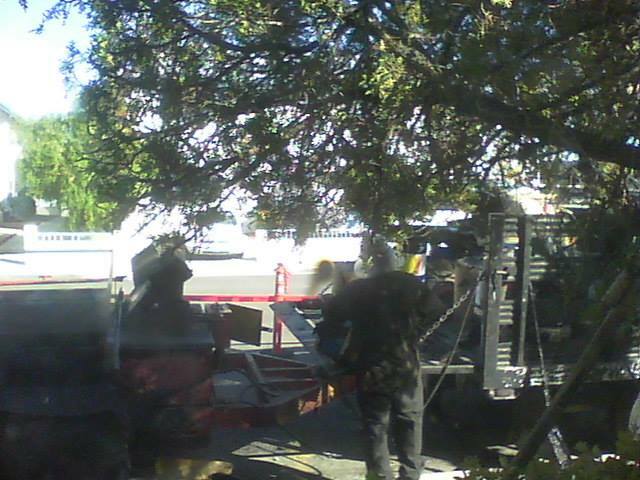 So this day all the holes that were leaking on the roof from the satellite dishes were being fixed. There were a lot of pissed off people when she had the dishes removed and told everyone they would no longer be allowed on the grounds. But of course 2 years after this in 2015 we had a new manager that allowed people to get the satellite dishes again and that caused holes in the roof's again that had to be fixed...again! So now it's in the lease that no one is allowed satellite dishes on the property even though some older ones are still one the roofs. Now if you want cable you have to get one that doesn't require a satellite dish. I just hope they don't have to tar the roof anytime soon because it was awful smelly and the truck was right outside my bedroom window which made it even worst.